We’re a father and son from the Gold Coast, Australia. My wife and I do a fair bit with our kids – you can read more here and here – and I suggested to the then 16 yo Harry that we should ride a motorbike across the USA. 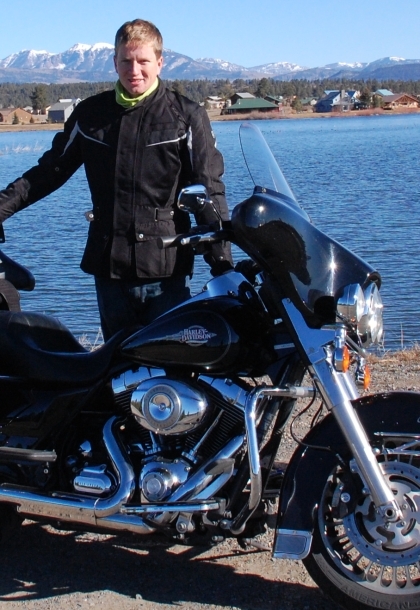 In a surprise to no-one he was very keen – not that hard to convince a 16 yo boy to go on a month long motorbike trip across the USA on a Harley with his dad! Harry finished High School at the end of 2011. I (Brendon) did a ride across Australia (3,000 miles/4,500 kms) on pushbikes with my eldest son Jack when he was 15 yo, 3 years ago. Harry’s a bit smarter than Jack – when he goes across a country, he wants a motor involved! And he’s just been to Nozawa so he could ski Japan. Hard to believe ladies, but he’s single! I’m a 45 yo guy from Australia (originally from Tasmania, lately of Queensland). I have a few different business interests and am lucky enough to be able to have a bit of time off when I want it. I’d never ridden until 3 years ago when a mate suggested we ride around Tasmania for 10 or so days. 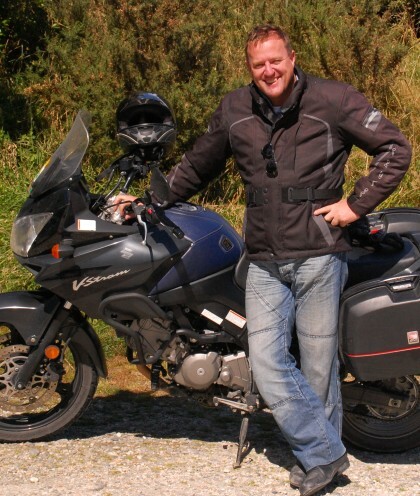 Since then we’ve ridden around Tasmania and both the north and south (breathtakingly beautiful) islands of New Zealand.